The advent of Polymer80 Glock® pistol frames provided consumers with an innovative opportunity to test their finishing and assembly skills at home, all while taking advantage of the customization options offered by the Polymer80 G19 frame. Now, Brownells paired this DIY pistol frame with the company's RMR Slide for a build-ready package. The Polymer80 G19 frame ships with an exclusive Aggressive Texture finish that's only available when bought from Brownells and can be used to build G19, G23 and G32 handguns. 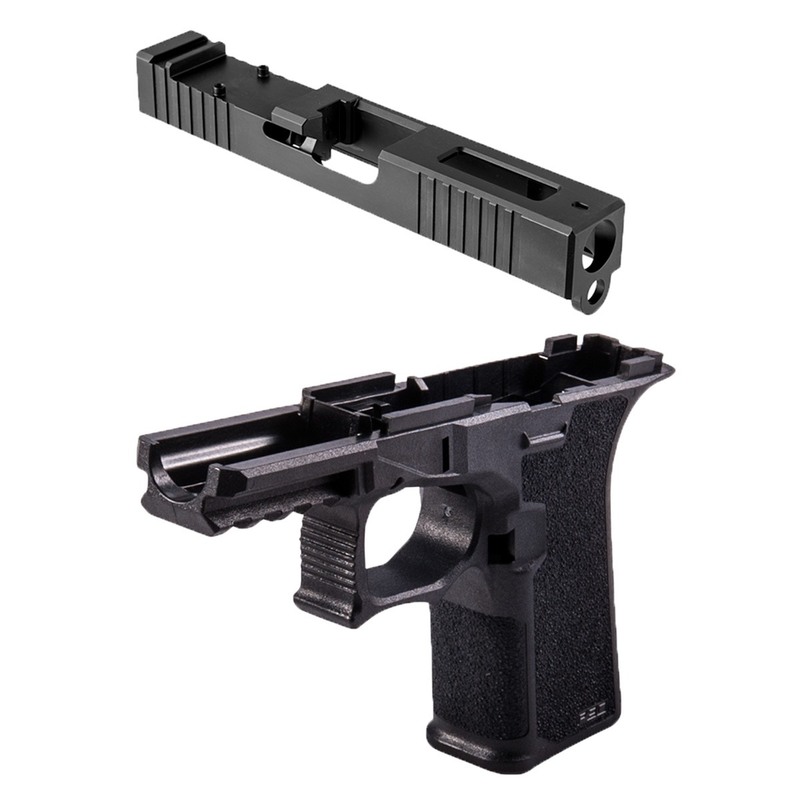 The Front Cut RMR Glock® Slide from Brownells included with the build is designed for all Glock® G19 Gen 3 components and is machined from 17-4 stainless steel and meets Glock® factory specifications. Each Brownells Front Cut RMR Slide for Glock® pistols incorporate slide serrations that wrap around the sides and top of the slide and feature a slot specifically designed to accept a Trijicon RMR red-dot optic. The slide is also cut to accept all Glock-style front and rear sights. “GLOCK” is a federally registered trademark of Glock, Inc. and is one of many trademarks owned by Glock, Inc. or Glock Ges.m.b.H. Brownells is an independent dealer of parts and accessories for Glock® pistols, and is not affiliated with or endorsed by Glock, Inc. or Glock Ges.m.b.H. The use of Glock on this page is merely to advertise the sale of Glock parts or components. As indicated in the product descriptions, not all parts and accessories on this site are official Glock products"